Injured at Work? What to do. Napoli Shkolnik Partner Patrick Haines and his legal team filed two cancer cases on behalf of Texas railroad workers. The two cases against BNSF (Burlington Northern Sante Fe) Railway allege that the two former employees suffered toxic exposures on the job. What is FELA? FELA is a distinctive region of law. The Federal Employers Liability Act was meant to present reasonable compensation for injured employees and their families. FELA claims today are much like Workers' Compensation claims because they're based on negligence, but distinct as they're uncapped. FELA simplifies the rights of rail employees that are injured on the job and makes it difficult to get the compensation you deserve. Hiring the right FELA Cancer Attorney can make a significant difference to your results. Even if it's true that the railroad was 99 percent to blame for the incident, along with the employee just one percent contributorily negligent, there may be no recovery. Normally, it can't transfer their obligation in this regard. Under FELA you have to demonstrate the railroad was negligent as a means to get benefits. Thus, a municipal railroad, for example will probably be excluded. There are many ways a railroad might have been negligent in your case. A railroad could be negligent in numerous ways which may cause an employee injury. If you're injured on the railroad, the business immediately begins investigating the injury. In some cases, workers that aren't even employed by a railroad have rights below the FELA. Under FELA, railroad employees who aren't covered by regular workers' compensation laws have the capacity to sue companies for their injury claims. 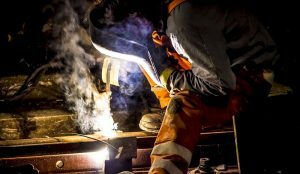 In the event the railroad worker was partially accountable for their injury, their compensation is going to be reduced by their percentage of fault. Most railroad workers are in an extremely hazardous environment as a consequence of the job. A railroad worker that has been injured at work cannot fight the railroad company alone. 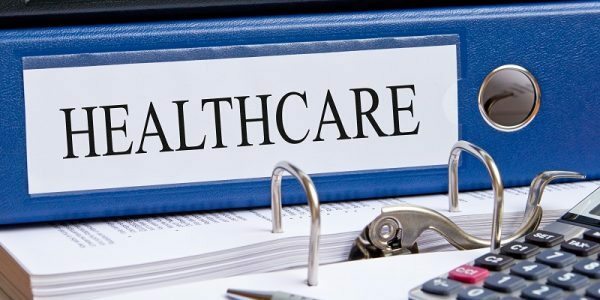 Why you need a FELA Cancer Attorney? Every injury has a special set of circumstances that might be difficult to prove as negligence. Other injuries are somewhat more subtle. You might have the ability to submit a personal injury or wrongful death lawsuit to acquire payment for accidents linked with asbestos exposure. When you have hired a lawyer, they may also run an unaffiliated investigation right now. If you would rather select your own attorney, be certain you employ the most suitable attorney for you and your case. Our experienced railroad lawyers will evaluate the facts of your case and allow you to determine the greatest possible legal strategy. Our railroad worker attorneys are readily available to talk with you directly. Diesel exhaust produces a toxin called benzene, a chemical known to cause lung cancer. In one study of 55,000 railroad workers between 1959-1996, the risk of lung cancer was 40% higher for workers who operated trains. Railroad workers have a higher risk of mesothelioma because asbestos was so widely-used for decades. Possible sources of exposure include sealing cement, gaskets, brake pads, brake lining, clutches, floor tiles, and more. Roundhouse workers can be exposed to asbestos while cutting or sanding asbestos-containing materials. 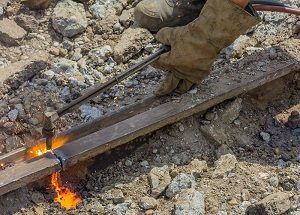 Our law firm is reviewing cases involving current or former railroad workers who were diagnosed with any type of cancer, whether they are currently working or not. You may qualify if you were diagnosed with cancer after working for a railroad. This includes engineers, conductors, switchmen, carmen, track maintenance workers, machinists, clerical workers, and other occupations. Our team can assist you by scheduling a free consultation with our attorneys. We have the ability to shield you from railroad company's attorneys. It's critical that you find a seasoned lawyer to assist you during this tough time and to discuss submitting an lawsuit. To find out more about FELA (wikipedia), or when you need to talk with a lawyer please contact us using the form below. Our FELA attorneys will work to ensure you aren't blamed for any fault you're not liable for. You should talk to a knowledgeable FELA attorney if and when a railroad extends to you an alternate job when injured. It is important that you meet with a FELA lawyer after you learn that your illness resulted from your railroad work. What Exactly Are Occupational Diseases? 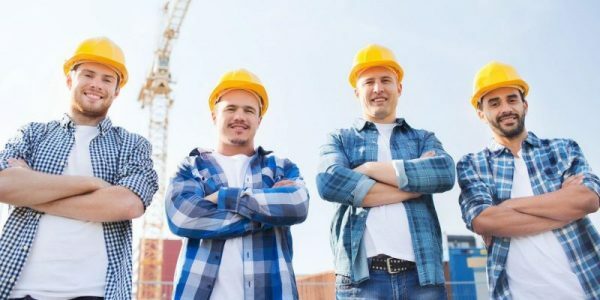 Construction Accidents in NY: Who to Contact?